November 13, 2014 by iCepts Technology Group, Inc. Comments Off on Give Me Five Promotion is Back and Better! If you've been putting off a much needed upgrade to your distribution or manufacturing system, Microsoft has just announced the “Give Me 5” end of year offers: Yes, not just 1 but 2 great offers to save you money! For a limited time, the popular Microsoft Dynamcis Give Me Five Promotion is Back and Better! Microsoft Dynamics NAV 2015 "Navision" is a robust and proven Enterprise Resource Planning System (ERP). 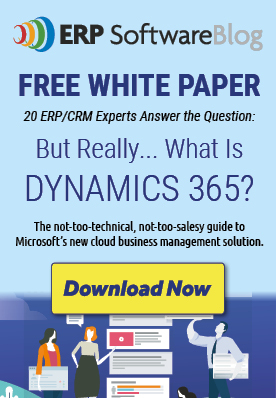 Dynamics NAV is currently used by over 100,000 customers worldwide, more than any other ERP system in the mid-market, and one of the few business management systems with a published statement of direction and backed by Microsoft's extensive research and development. By automating and streamlining financial, customer relationship, and supply chain processes, Microsoft Dynamics brings together people, processes, and technologies, increasing the productivity and effectiveness of your business, and helping you drive business success. 2. "Give Me 5 + 2 Extended" Offer: Expires 12/27/14:New Customers can take advantage of the rich functionality included in the Starter Pack (3 Starter Pack Users) plus 4 Full Users. This offer is for a total of 7 users for only $ 13,500* Considering that the Extended Pack costs $ 10,000, it is like getting 7 users for only $ 3,500! *Up to 60% off your first five licenses of Microsoft Dynamics NAV 2015 is for new customers only and not eligible with any other offer. Special pricing available with the ‘Give me 5’ offer only. The promotional price applies to a Microsoft Dynamics NAV 2015 license with five full users (including the three in the starter pack). Enhancement Plans is based on the non-discounted pricing. Please contact iCepts Technology Group for complete terms, conditions, and additional offer details. Posted in About Microsoft Dynamics NAV, Microsoft Dynamics NAV 2015 | Comments Off on Give Me Five Promotion is Back and Better!